From one side the mainland of Greece is shrouded by the Aegean Sea, which without a few that belong to Turkey, is giving all his islands to Greece. A great number of the islands are tourist-friendly, which makes the country extremely developed in tourism. Hot springs, fortress villages, rich history, delicious seafood and great beaches, offer the visitors memorable and authentic experiences. 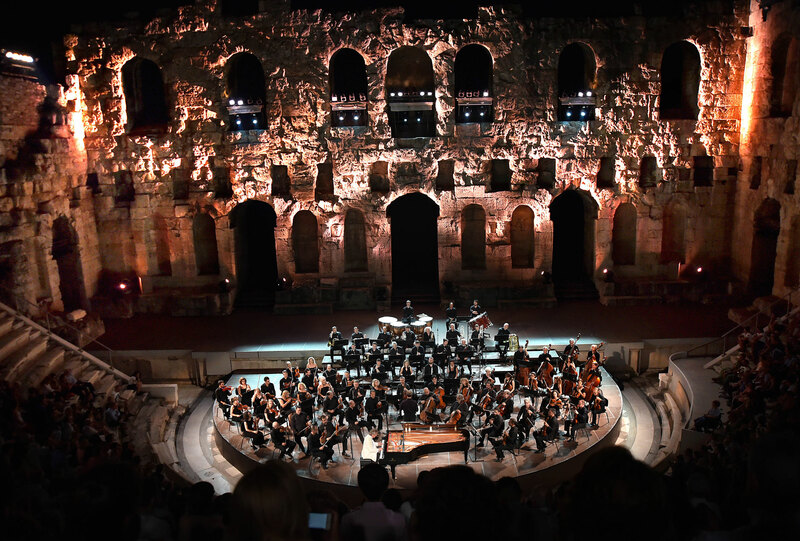 Just a few of the most beautiful and most interesting islands are: Ikaria-that tells the story of the legendary flight of Icarus; Samos-the birthplace of Pythagoras; Santorini- with his whitewashed, cube-form houses; the extraordinary beautiful Mykonos, the great Crete, and literally thousands more. Your taste and wishes will be crucial to choose the islands for your travel destination. 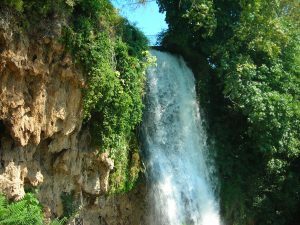 The river that is forming these picturesque waterfalls is named Edessaios, like the town of Edessa, divided by it. The sound of running water accompanies you, as you pass by the town’s streets. You can enjoy the view of a green setting filled with tall trees and flowerbeds, located at the north-easternmost part of the town. Karanos waterfall measures 70 metres in height and is the biggest one in Greece. 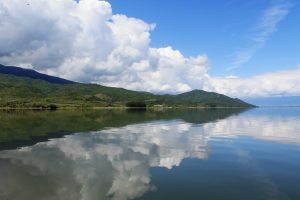 The lake is situated in the northeast of the district of Serres, at just 100km from Thessaloniki. Lake Kerkiniis considered to be one of the top European bird watching destinations. About 300 bird species have been observed here. In this fascinating location birdwatchers, kitted out in the right bird watching equipment can observe birds of prey. The lake is approximately 15km long and its maximum width, when full, reaches 8,5km. 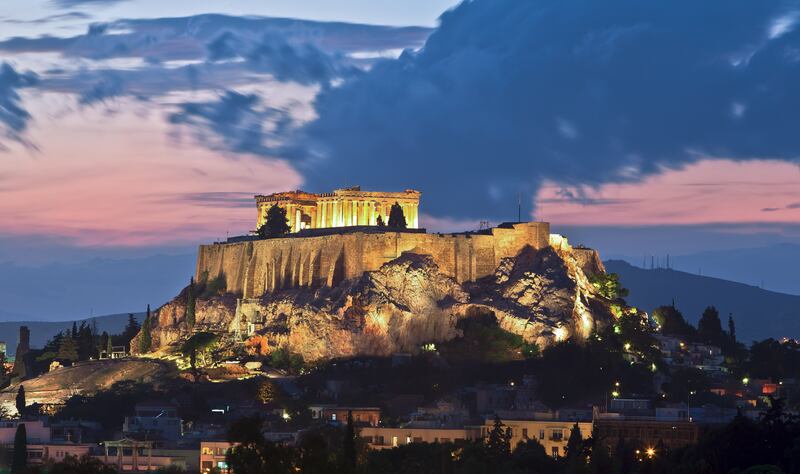 In the surrounding area you can trace the greatest number of buffaloes in Greece. The lake is a rare example of fine human intervention in a superb natural landscape. Here, a tourist can participate in many other outdoor activities, like: boat riding, canoeing, horseback riding, hiking and/or biking. According to mythology, Mykonos was formed from the petrified bodies of giants killed by Hercules. The name Mykonos is taken from the grandson of Apollo, who had the same name. 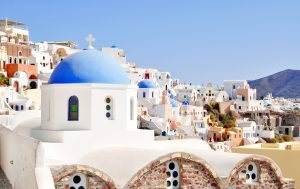 The capital town Hóra, and the rest of the small settlements on Mykonos, are all featured with whitewashed houses, colourful doors and window frames, bougainvillea trees in purple bloom and hidden churches. Pétros, the Pelican, is the official island mascot, so don’t be surprised if you come across a pelican wondering across the island. Due to its long beautiful beaches, the island is a paradise for water sport enthusiasts. It is only natural that the “Island of the Winds” should attract surfers and sailors from all over the world. You can also dive or take a boat tour around the nearby islets, which are also ideal fishing spots. There are certain epic hikes throughout the world and the hike through Samaria Gorge National Park is one of them. 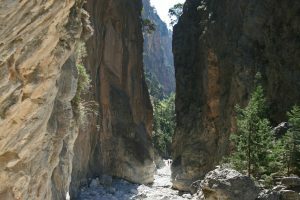 At 16 kilometers, Samaria Gorge is one of the longest gorges in Europe. 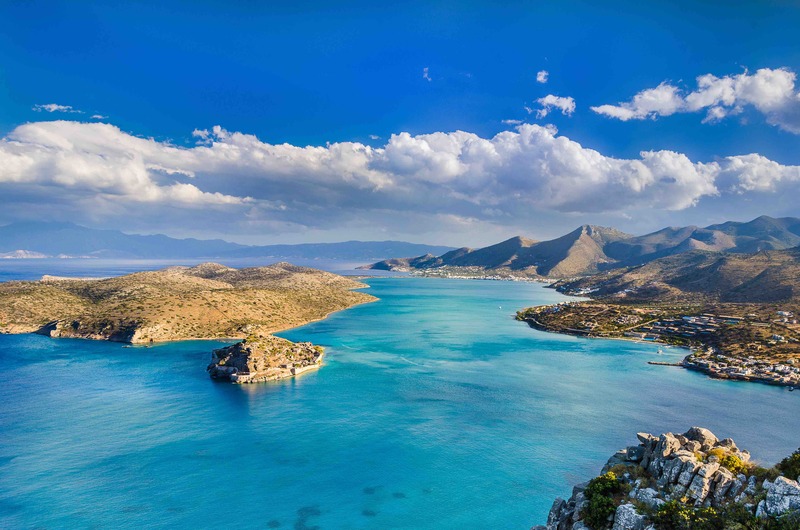 It is located in Crete’s only national park, and provides stunning views all day long. The hike is starting at Xyloskalo at an altitude of 1230m and is taking you all the way down to the shores of the Libyan Sea in Agia Roumeli. What is great about this trail is that it’s not just natural beauty; there are also little churches and remnants of villages along the way. It is a long (5 to 7 hours) walk on rough terrain so you will need to have a certain walking experience in order to enjoy it. 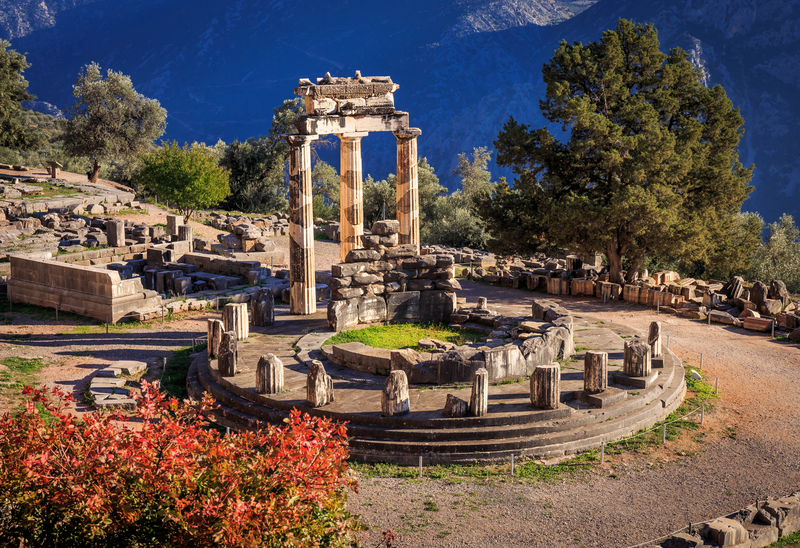 The Samaria National Park is traditionally always open to the public at the beginning of May, and it closes at the end of October. Cousteau looked for the lost city of Atlantis here. On Santorini. 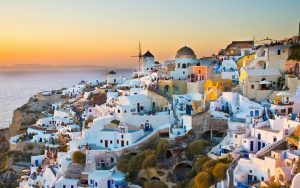 Crescent-shaped Santorini (or Thíra), the precious gem of the Aegean, is actually a group of islands in the southernmost part of the Cyclades. The whole complex of Santorini islands is still an active volcano and probably the only volcano in the world whose crater is in the sea. Santorini is considered to be the most sought after place for a romantic getaway in Greece. Whitewashed cliff-top houses and castles affording amazing views out over the Aegean, are a landmark for every little town and village of this island. A visit to Santorini is the ultimate gastronomic experience, as the island is a true culinary paradise. Here, you will be seduced by the seaside treasures and you will enjoy deep blue waters and beaches with white, red or black sand or volcanic pebbles, spectacular rock formations and impressive lunar landscapes. 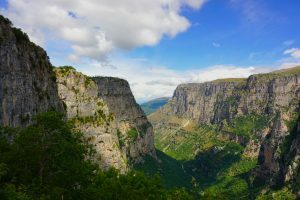 The spectacular Vikos Gorge in northwest Greece, topped by massive rounded cliff buttresses and craggy walls in light grey and orange-yellow,is a truly spectacular sight, accessible from several vantage points, including the gravity-defying cliff-face monastery of Agia Paraskevi at its southern end and the ridge-top village of Vikos at the other. Due to its geological isolation and the absence of human presence, Vikos gorge includes rare plant and flower species of Epirus. The best period to visit the gorge is during summer and in the beginning of fall when the river is shallow. This fact makes passages easier to cross. If you have a stable pace you can cross the gorge in approximately 7 hours. It might sound very long but the scenery with its beauties will definitely be a rewarding experience for you. Greece has some exceptionally beautiful canyons, scattered in various geographic regions, both on islands and in its mainland. 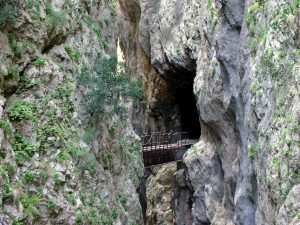 Next in the line of these beautiful natural phenomenons is Vourakios gorge, located in the north side of Peloponesse, 63 km from Patras and 170 km from Athens. 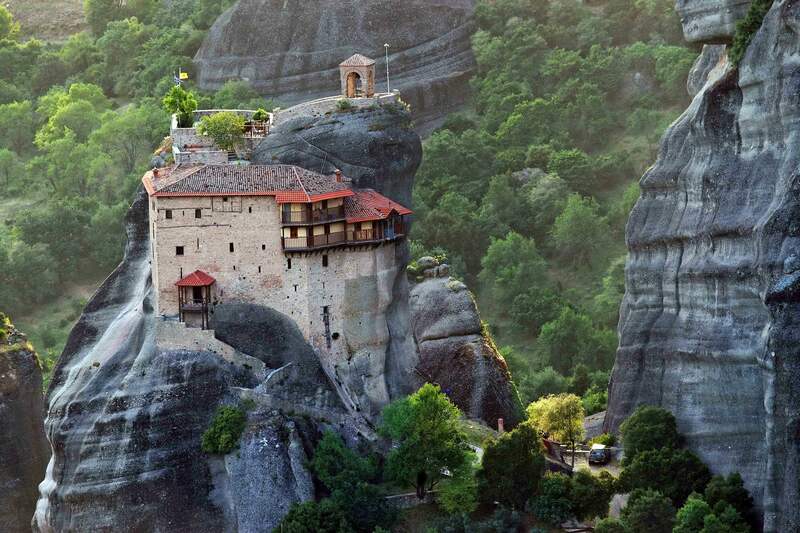 To be more accessible for the visitors, there is a railway that begins from Diakopto and goes up to Kalavryta town. 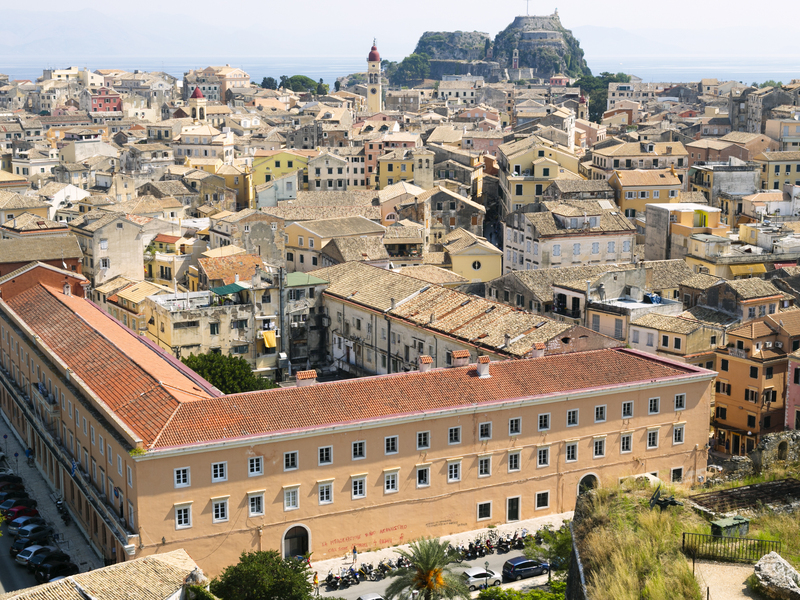 At the starting point you will see large lands covered with lemon and olive trees. The landscape changes as you go on. Tunnels and tall red cliffs markedly eroded by a constant water flow alternate before your eyes. The wild charm of the steep cliffs, the waterfalls, the caves filled with stalagmites and stalactites, the lush greenery and number of rare type of plants you’ll encounter will catch your eye. The railway is 22km long.